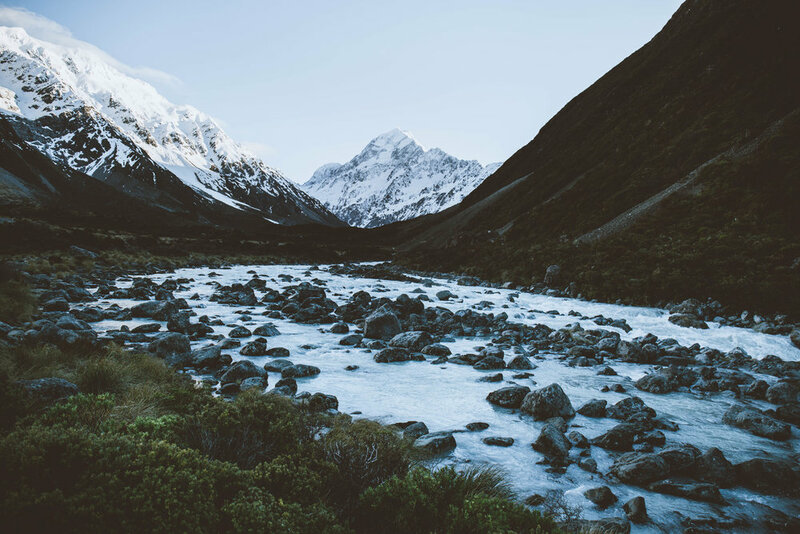 A journey to the most spectacular, fantastic and beautiful country located in the southern hemisphere, New Zealand or Aotearoa “The Land of The Long White Cloud” in the Maori language. New Zealand is one of the most isolated countries in the world. It is, without doubt, a place you must visit before you die. I have been living on the road for seven months and I want to share my experience and some photos of the trip. Not everyone feels comfortable traveling alone and I knew that it would take a lot of courage. After 19 years of living in the same village, I was ready to leave and go on an adventure, all by myself. The decision of going to New Zealand is linked to my passion for photography. When I started out posting photos on Instagram, I connected with people from all over the world and learned about places I didn’t even know existed! I met a few people who told me that they went on a “work and travel” holiday to New Zealand after their graduation. Travelling after graduating high school sounded like a good plan, but going to explore and capture incredibly beautiful landscapes sounded even better. 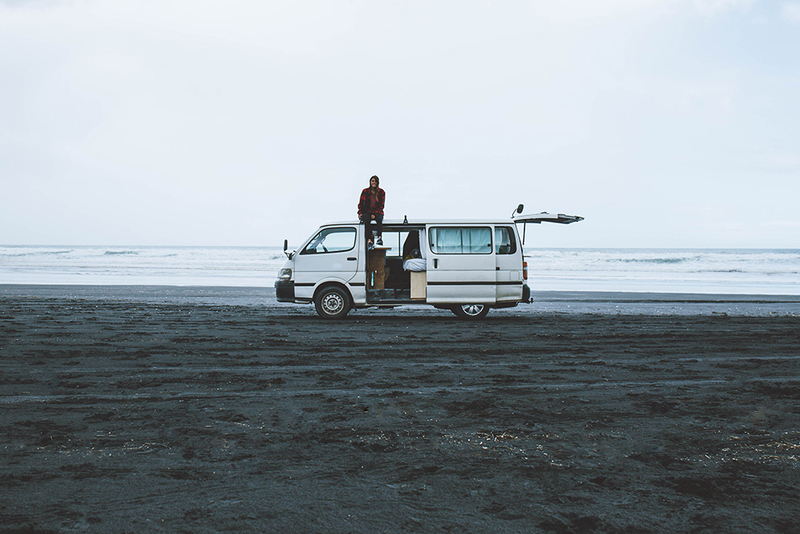 My idea was to buy a van and live in it while capturing every beautiful corner of New Zealand. I booked a one-way ticket to Auckland and the next thing I know was owner of a 20-year-old Toyota van. I named her Lola. The first week in the van was hard. I was scared and felt very insecure. What if I couldn’t find friends or what if, for whatever reason, my dreams fail? As the weeks passed, my anxiety started to settle. Photography and Instagram allowed me to connect with many Kiwi photographers. A lot of awesome people supported me by letting me stay at their house and offering me food and a shower. The best thing about the van life was that I was free. I could travel at my own pace and play by my own rules. Living in such a tiny space leaves only room for the necessities and this really made me realize that you don’t need a lot to be happy. When you are traveling alone you have to be comfortable with change and you have to face challenges. Your only companion is yourself, so it's up to you to shut out those negative voices in your head and make decisions for yourself. Many people think that traveling alone is really scary and unsafe, but with the right mind-set and intuition, you’ll be far away from any potential danger. New Zealand is generally a very safe place to travel. It’s not riddled with disease and doesn’t have any animals that can kill you. The few things that I was really worried about at first ended up being the greatest benefits and lessons of this adventure: when you have a dream or a vision, you just have to go for it. Don’t let anyone talk you out of it, no matter how silly or ridiculous your dream might appear to others. Following your passion is the only thing that will bring you happiness. One of the things I love the most about New Zealand is the diversity of its landscapes. You can find yourself in a very dry place and after a few hours of driving you are amongst one of the wettest places on earth. New Zealand has it all! There is never going to be a right time to leave your responsibilities at home and go on an adventure. So for everyone who wants to travel and follow his or her dreams, I think all you can do is find the courage and just go. The memories of the adventures and experiences will last a lifetime. Thank you, New Zealand, for being so good to me!